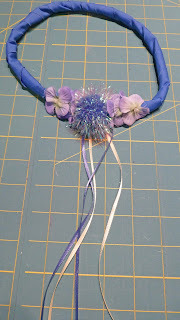 This is the second kind of headband that I made and took to Kentucky for the Princess Party. Some of the girls wore them with the fancy part on the side of their head and some wore them with it down the back. 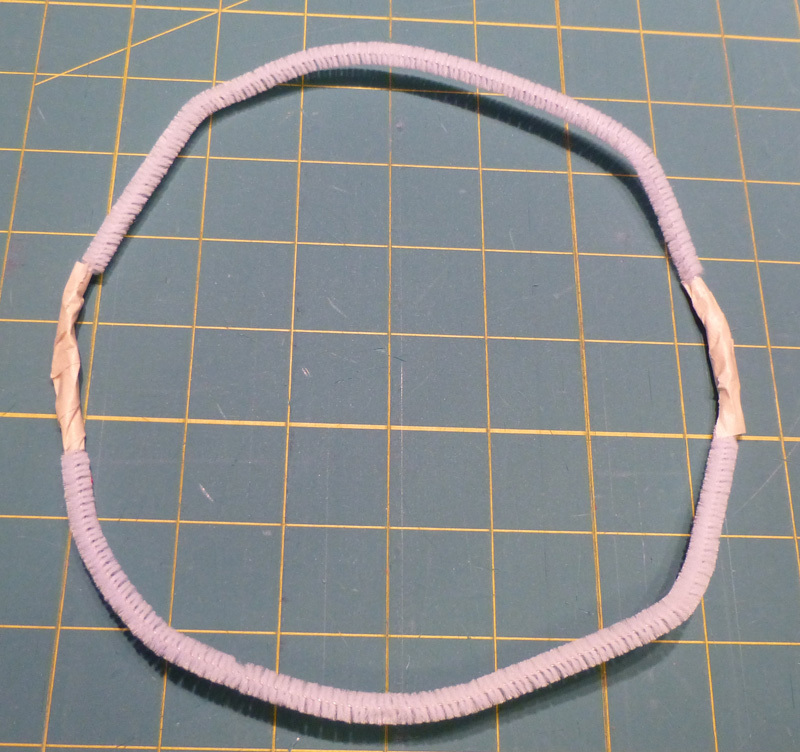 Then tape the twisted area with masking tape to cover the sharp ends of the pipe cleaner. 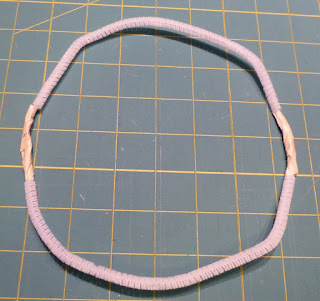 Then wrap the circle in ribbon. You can choose any kind of ribbon you would like. 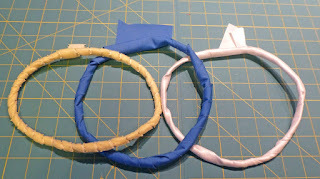 The circle on the left is wrapped with velvet ribbon that came in a bag of trim from Goodwill. 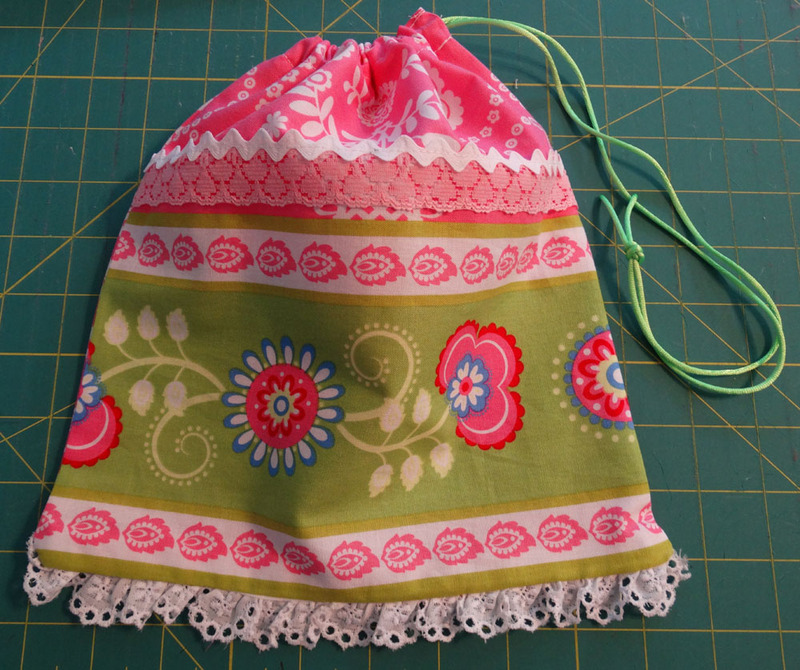 The center circle is wrapped with a long strip of fabric about 2 1/2" wide. The right circle is wrapped in satin wedding type ribbon. Once the circle is tightly wrapped glue the end with a glue gun. This is the spot that you will add your ribbons and other accents to. See the first picture from Kentucky. 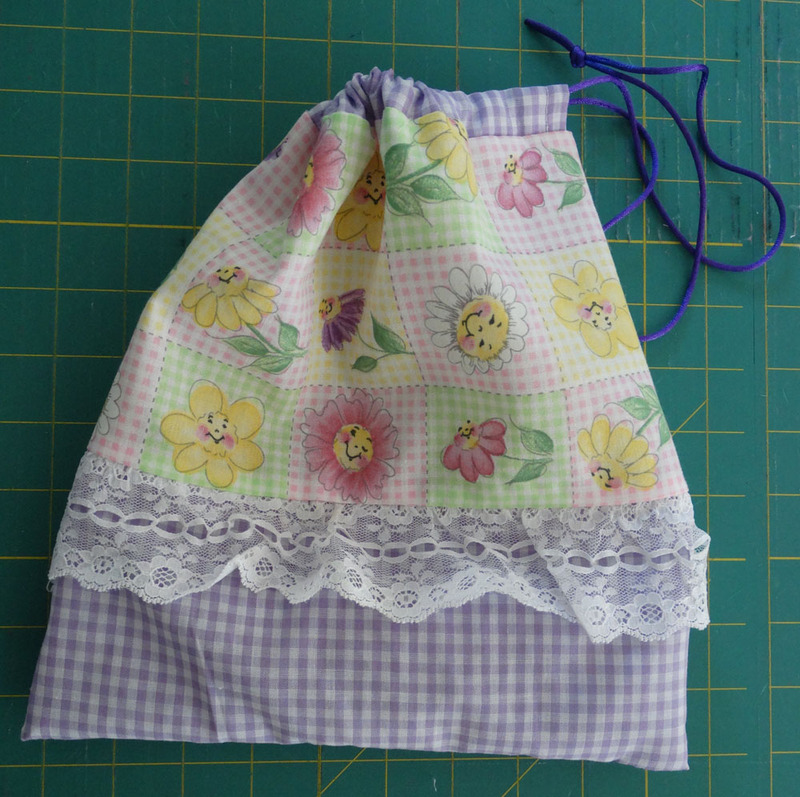 Use 1/8" or 1/4" ribbon to hang down. Cut your ribbon about 30" or less. 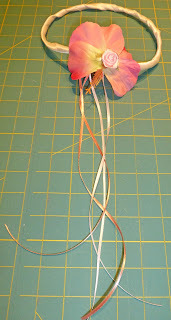 Tie the ribbon onto the circle and then glue. 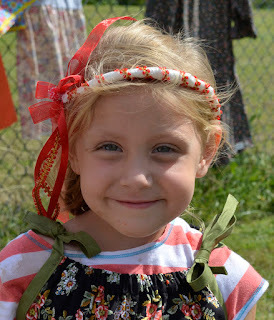 I had a large flower and cut the petals apart to make this headband. 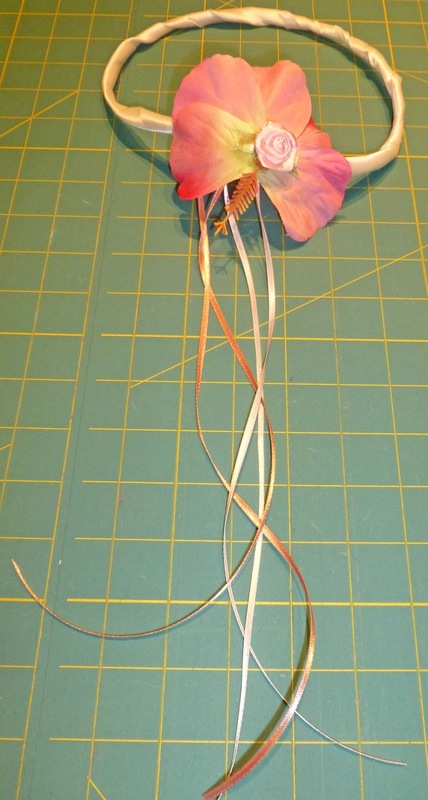 I glued the leaves on first and then added a large flat flower.